Your opinion matters. 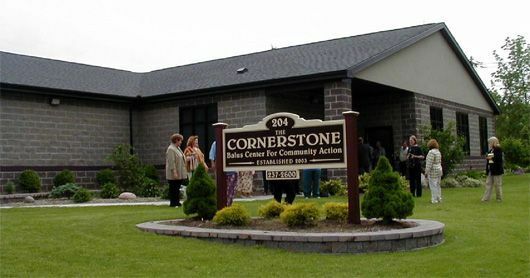 Leave A Review Or Edit This Listing for Community Action Angels Food Pantry - The Cornerstone. This pantry is open to all people experiencing hunger and service is not based on income but only on need. In addition to the pantry, every second Thursday of the month we operate a mobile food pantry from 11:00 - 2:00 where fresh fruit, vegetables, dairy and bread items are provided. Personal care items, cleaning supplies, diapers, formula, clothing, household goods and medical equipment are available at the pantry if available. If your children need help with food on the weekend please contact your school district in Wyoming County where you can be referred to our Snackpaks for Kids program. Area covered: Wyoming County and outside borders based on need. We always need more information on our pantries. If you know of any details, volunteer information, website, hours or more description information about Community Action Angels Food Pantry - The Cornerstone please add a comment (below the map on this page), with information. We will then display this for all visitors on this page.